I’m delighted to partner with JEDI Women’s Business Center (Jefferson Economic Development Institute) in conjunction with the Small Business Administration to bring you this FREE training to help you write better marketing content. Plus, 7 key areas that require your attention when crafting your message and creating your plan. Often, as entrepreneurs and business owners, we are so busy making our magic and marketing our magic that we don’t carve out time to work ON our business not just IN our business. Do yourself a favor and carve out 1 hour to flip the script on your marketing messages. No opt-in required. Grab a pen, paper, and your favorite beverage and get ready to roll up your sleeves and apply what you learn. Download your outline and worksheet here. Have questions? 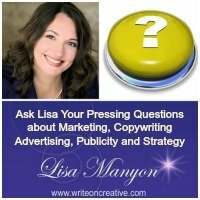 Zip over to the Write On Creative Community Facebook Group and ask. I’m happy to answer YOUR questions and you’ll find more helpful resources in the group. You can also claim your FREE Copywriting Action Plan at the top of this page or by visiting the Write On Creative homepage. Ready to learn pro tips to polish your copy even more? Check out the Copy to Connect and Convert With PASSION Points training here. This entry was posted in Copywriting, Resources and Interviews	on Sunday	January 21, 2019 at 11:43 pm. You can follow any responses to this entry through the RSS2.0 feed. You can also leave a response.